Into The Maw: What Awaits Us in Hunger? Back in February we got a brief glimpse of Hunger, the newest project from Tarsier Studios. Most gamers probably know Tarsier Studios as the developer behind the PS Vita version of Little Big Planet, but that might just change once they get the opportunity to release Hunger to the masses. Hunger is described as a suspense-adventure game that chronicles the journey of a young girl known only as “Six” as she attempts to escape from the strange (and occasionally nightmarish) world of “The Maw”. The game is still in early in development so details are scarce, but we felt that it wasn’t too early to learn more about what kind of game Tarsier is trying to make with Hunger. It turned out that I wasn’t the only one who thought that way. I had the pleasure of directing my questions to David Mervik, the Lead Narrative Designer at Tarsier Studios. If anyone knows where Hunger and Tarsier Studios are going, it would be him. I began by learning more about Tarsier Studios itself. I knew that they had worked on titles like LittleBigPlanet for PS Vita, but where did they come from, and how did they get to where they are now? Mervik summed up the studio’s growth as a journey made in pursuit of a dream. The teaser trailer made Hunger look like it was going to be quite creepy, but the artistic style it displayed hinted at more. 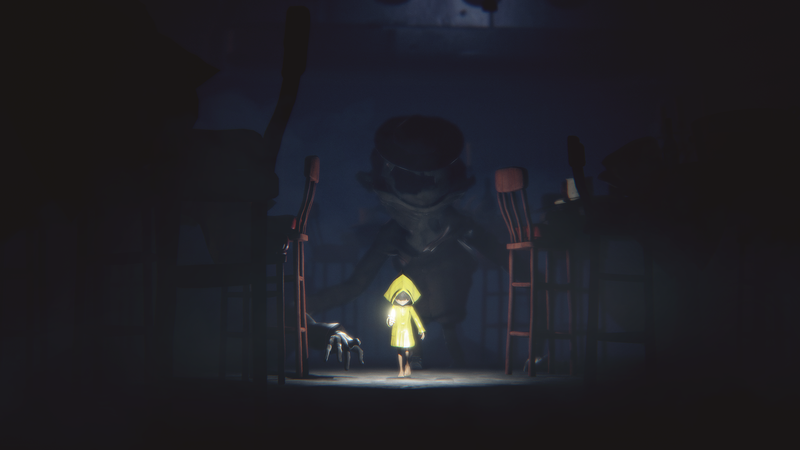 Tarsier Studios describes the game as a “suspense-adventure”, so it’s probably safe to assume that Hunger is meant to be more than simply scary. It turns out that that assumption isn’t too far off. Mervik said that the term is meant to better reflect the core experience of the game. He explained that the term “horror” carries certain expectations, even though it can take many different forms. It certainly sounded like Tarsier Studios is striving for more with this game, and we couldn’t help but wonder where the inspiration came from. Since the horror genre is on the rise, why not make Why not make Hunger a pure horror experience? 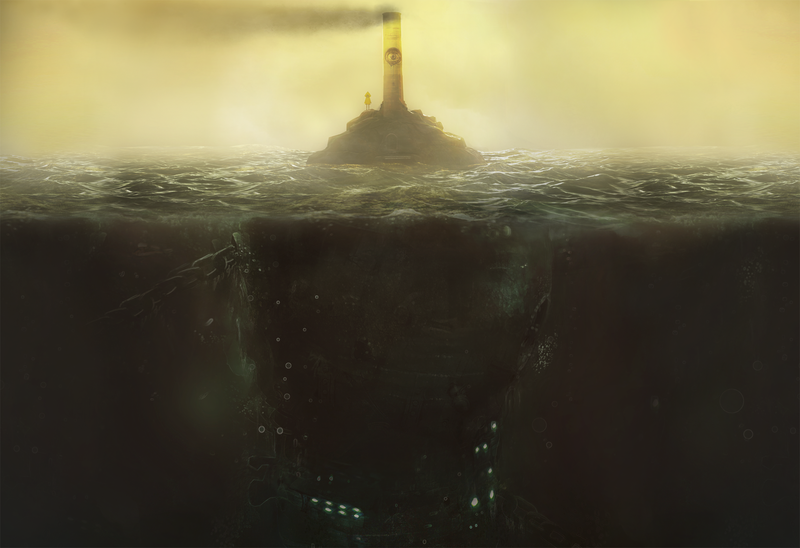 Mervik explained that it essentially sprung from the core idea that the game is based around. Having heard that, I wanted to know more about this place called “The Maw”. What sort of place is “The Maw” that it’s able to be unsettling, scary even, and yet be more at home in the suspense genre than horror? And how does Six fit into such a place? The relationship between “Six” and the world of “The Maw” seems like it’s going to be at the core of the experience and we needed to know more! In regard to “Six”, Mervik explained that the developer is working to craft a protagonist that’s different from those most of us have seen before. “[She’s] capable but not tough, iconic but not cool, ambiguous but not mysterious.” It’s not a concrete description to be sure, but perhaps discovering more about “Six” is going to be part of the fun! As for “The Maw” itself, Mervik explained that they’re looking forward to seeing what players make of it, so they don’t really want to give too much away about it. However, he did give us a clue about the nature of the world and the relationship it has with the characters we’ll see in it. I couldn’t help but find myself fascinated with the idea of the Maw now, so I couldn’t help but ask for more about its nature. The teaser trailer showed a world that looked quite surreal, dreamlike even. What sort of world is this? Are we going to be able to anything we see at face-value? Mervik’s response was also cryptic in regard to “The Maw”, but he also shed some light on the kind of experience players are in for. It appears that Hunger aims to be much more than the usual horror game we’ve all seen before. 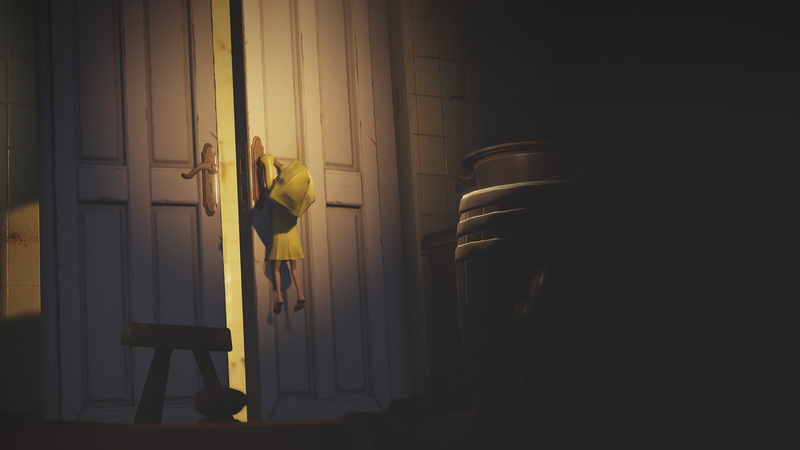 It definitely has the potential to be quite scary, but from what I’ve learned I get the sense that mystery and indeed adventure are going to be just as important to the experience that Tarsier Studios is trying to craft. There’s still quite a bit of mystery surrounding Hunger, but I can’t help but feel excited about what’s been revealed so far. I don’t think I’ve been this psyched to learn more about a game’s world since I booted up BioShock for the very first time back in 2007! We’d just like to take this opportunity to thank Dave Mervik and Tarsier Studios for giving us the chance to provide you with a closer look at Hunger. For further updates about the game, be sure to keep an eye on their official blog! Next Post Gaming Secrets and Hoaxes: Can You Tell the Difference? Hunger looks pretty awesome. I’ll definitely have to check it out once it’s released.